Couscous, a light and fluffy pasta, is mixed in with tomatoes, black beans, soft, ripe avacados, sweet corn, and tossed in a lime ~ cumin infused vinaigrette. Tastes even better the next day with all the flavors married together, creating a burst of flavors in each bite. I saw this salad at a potluck and it was gone in a hurry ~ I mean, people crowded around this large bowl and kept scooping spoonfuls onto their plates. Tortilla chips were served along with the salad, creating a fun way to enjoy eating it. Couscous, a funny name, is a semolina pasta ~ it is SO easy to cook. Bring some chicken stock to a boil, throw in the couscous, cover and remove from the stove for five minutes. Fluff it up with a fork and it's ready to go! The dressing is also very easy to whip up. Olive oil, lime juice, red wine vinegar, and powdered cumin are blended together. Then add a very well rinsed and drained can of black beans and some frozen corn. The roasted corn I froze over the summer added a wonderful smokey flavor. There is minimal chopping: a Roma tomato, green onions, avacado and fresh cilantro. 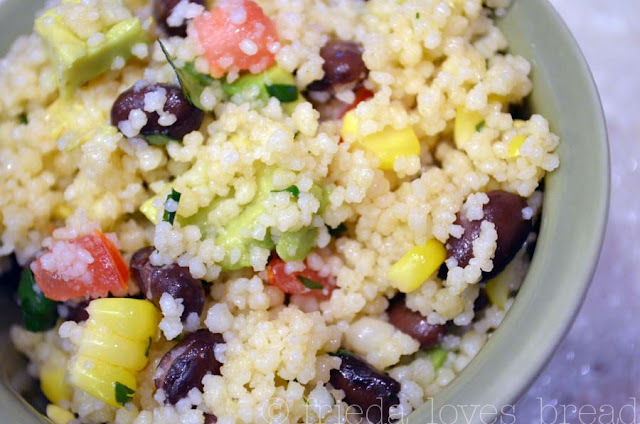 Toss in the couscous, put in the fridge for a few hours and you are good to go! I am so making this for the Super Bowl!!!! What a great recipe for couscous. Looks to delicious. Come visit. 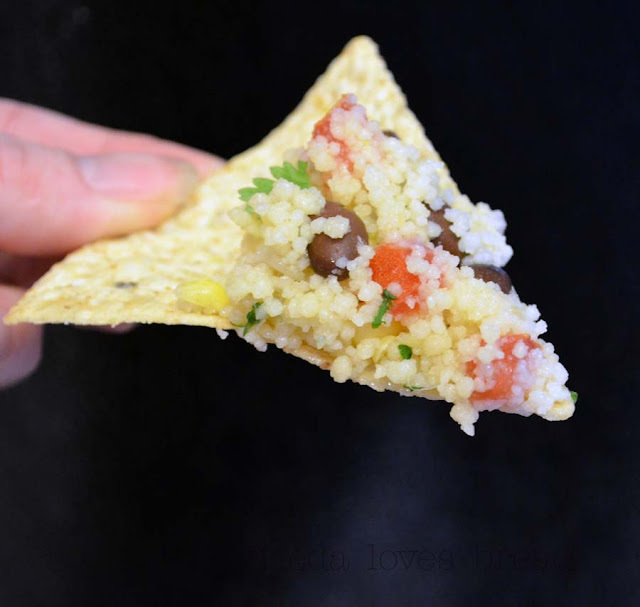 We have a terrific quinoa recipe this week. This looks fabulous! We love couscous! I had couscous for the first time ever on New Years Eve and it was the best start to a new year I've ever had! 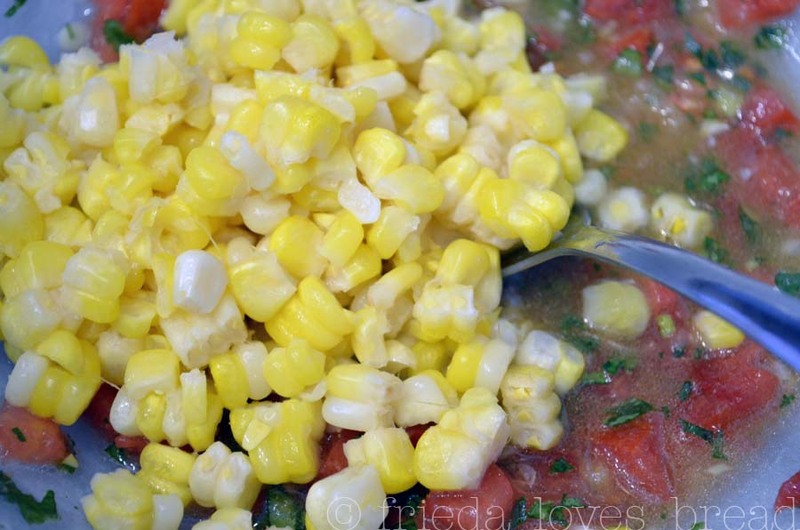 I pinned this recipe immediately, can't wait to try this at my next get together! Thanks! 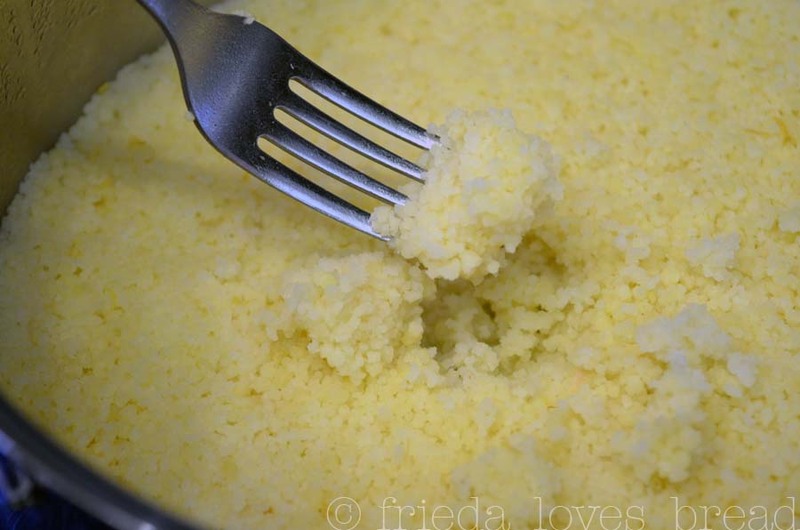 I tried couscous for the first time with THIS recipe ~ and fell in love immediately. I cannot believe how simple it is to make!